Which system is the best for me? MerlinEasy is a wireless firing system for smaller shows. This basic system contains a firing module with 32 cues. Need more than that? Add up to three firing modules and use the MerlinEasy remote control to manually fire up to 128 unique cues! MerlinStep is the next step for advanced wireless firing. Unlike MerlinEasy, you can program the MerlinStep firing module with your home PC to create custom firing sequences. You can also use the remote control during your show to fire separate cues while your programmed sequence is running simultaneously on the firing module. 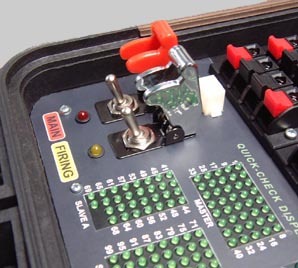 MerlinMatch is a wired firing module with 32 programmable cues. Additional MerlinMatch firing modules may be added if more programmable cues are needed. This is also a great solution if you want to experiment with smaller cue counts controlling arrays of effects. If you wish to shoot a small display using a "one fuse" configuration, this is the unit for you. We have MerlinMatch485 now, it's MerlinMatch but with cable bus like MerlinMatchSE and compatible to MerlinFire communication protocol and programme. MerlinMatchSE is designed with the handyman in mind. MerlinMatchSE is equivalent to MerlinMatch, without paying for extra parts or the casing. Like MerlinMatch, this programmable module can be used as a standalone sequencer, or it can be chained with additional modules to create a large firing network. MerlinFireIII is our premier firing system. This standalone system offers wired and wireless firing, higher firing voltages, lower power consumption, competitive price per cue, and 100 programmable cues that can expand by adding additional MerlinMatch firing modules. Make MerlinFireIII your master controller, or slave it to other firing systems. Ready for a reliable and economical fireworks firing system? Look no further than Merlin systems! Electronic firing, or e-firing, has become a popular trend for firework enthusiasts and professionals alike. Many of today's professional displays rely on e-firing to synchronize pyrotechnics to music, radio broadcasts, and performances. E-firing provides split-second accuracy, ensuring displays fire and appear very close to how they were designed. The technology behind e-firing has become affordable for many "backyard shooters" who wish to advance beyond hand firing and timing effects with fuses. Using a computer and simple software, shooters of all skill levels can program and fire spectacular displays using any Merlin firing system. Merlin is one of the more competitive companies in the pyrotechnics industry, offering reliable and economical e-firing solutions for both amateurs and professionals with varying display complexity. Merlin has nearly 20 years of industry experience and continues to grow by listening to its customers' needs, innovating products that meet the requirements of this evolving industry. For the seasoned professional, Merlin systems excel when it comes to the details. While there is an increasing number of e-firing systems being introduced to the market each year, very few are using heavy-duty parts and field-quality components that Merlin insists on using. With many years of research and development experience under the belt, we have followed out own way of product development and feel our systems have reached a level of maturity and reliability that is difficult to find in other systems. We invite professional shooters to compare the ingredients of our systems with those currently on the market. We are confident you will notice the difference! Check out our MerlinFireIII system to begin taking a closer look. Merlin offers amateurs and "backyard shooters" the opportunity to enter into the exciting realm of e-firing through its basic packages. Shooters no longer need to expose themselves to the dangers of being next to lit fireworks. Instead of hopping from effect to effect and lighting each piece as quickly as possible, e-matches can now take the place of punks, matches, butane, and cigarette lighters, allowing the shooter to ignite displays at a safe distance with the audience, while enjoying even greater creative control over the firing times of each effect. Are you new to e-firing? You may first wish to consider whether a wired or wireless system is right for you. Then determine what kind of shooter you are. Are you the type who enjoys creating single-fuse displays, or do you wish to control every effect in your show with e-matches and programmed cues? Cue count is the next important factor in choosing a system. For wireless systems, try checking out MerlinEasy. If you seek the reliability of a wired system, begin with MerlinMatch. 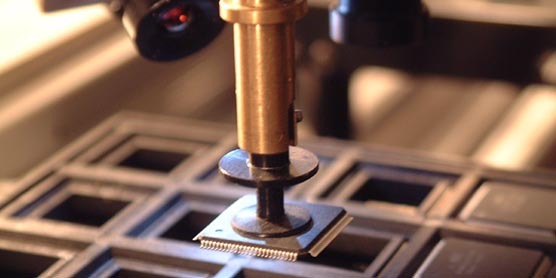 Our products have an excellent track record with reliability and longevity. Should a problem arise with your Merlin system within three years of purchase, simply contact your nearest Merlin distributor for technical support. If it appears your unit has a malfunction due to our craftsmanship, we will replace your unit with the same or equivalent product version.